They’re all up in your newsfeed, taking over the web with each cute video and meme. Now, even scientists are channeling the power of cats, with researchers developing electronic cat whiskers to help robots “feel” and “see” their surroundings. 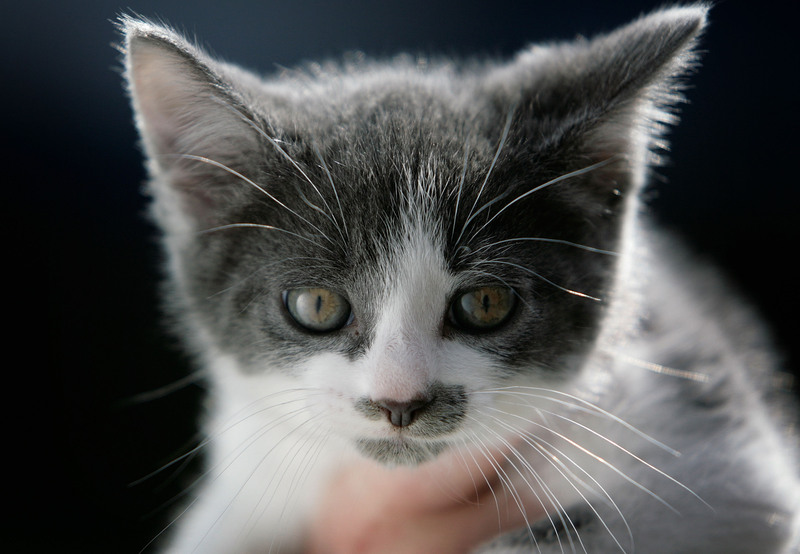 These e-whiskers mimic the functions of felines by using highly sensitive sensor networks constructed from nanotubes and particles. Cats' flexible, hair-like sensors not only make them more adorable — they allow for improved navigation and measurement. Whiskers are so sensitive they can detect even the smallest shift in a breeze. So what good do they serve robots? Researchers with Berkeley Lab and the University of California Berkeley hope that robo-whiskers can help enhance movement and even lead to wearable technology for measuring heartbeat and pulse rate. Nanotechnology, which manipulates atoms and molecules for larger-scale objects, has gained popularity in recent times with synthetic skin for robotic limbs and electronic eye implants. The artificial whiskers developed by California scientists can respond to pressure as slight as a single Pascal, equal to the amount of pressure a dollar bill exerts when placed on a table. Using elastic fibers, lead researcher Ali Javey and his team combined silver nanoparticles (for sensitivity) with lightweight carbon nanotubes (flexibility) for the perfect replica. They're already 10 times more sensitive to pressure than other technology out there. To test them out, researchers used the whiskers to successfully map 2D and 3D patterns of wind flow. Some scientists say whiskers can be used to improve underwater vehicles in the same way fish use 'lateral lines'. “Our e-whiskers represent a new type of highly responsive tactile sensor networks for real time monitoring of environmental effects,” Javey says. "The ease of fabrication, light weight and excellent performance of our e-whiskers should have a wide range of applications for advanced robotics, human-machine user interfaces, and biological applications." Do we sense robo-cats in the future? Cue Internet implosion.